In just a few short weeks I'll be in the Bahamas soaking up some sun and I can't wait! I've been doing a lot of shopping for the trip and I thought I would share my essentials for summer -- ones specifically that I've had my eyes on. Best news? Everything is 25% off! 1. 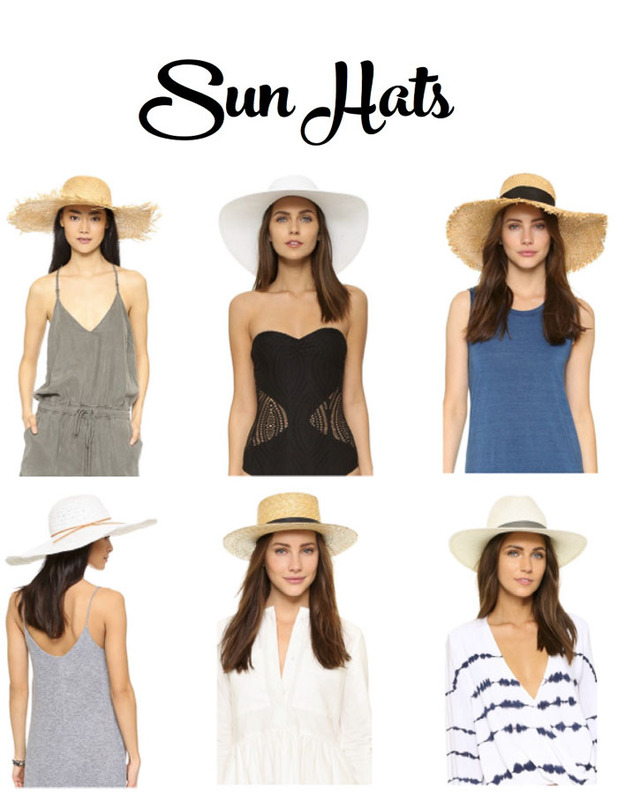 Sun Hats - I've become a major lover of sun and beach hats. I think mainly because I don't have to deal with my hair on vacation but also because they're just so stylish! The only problem is I have a hard time storing all of them! The struggle. 2. 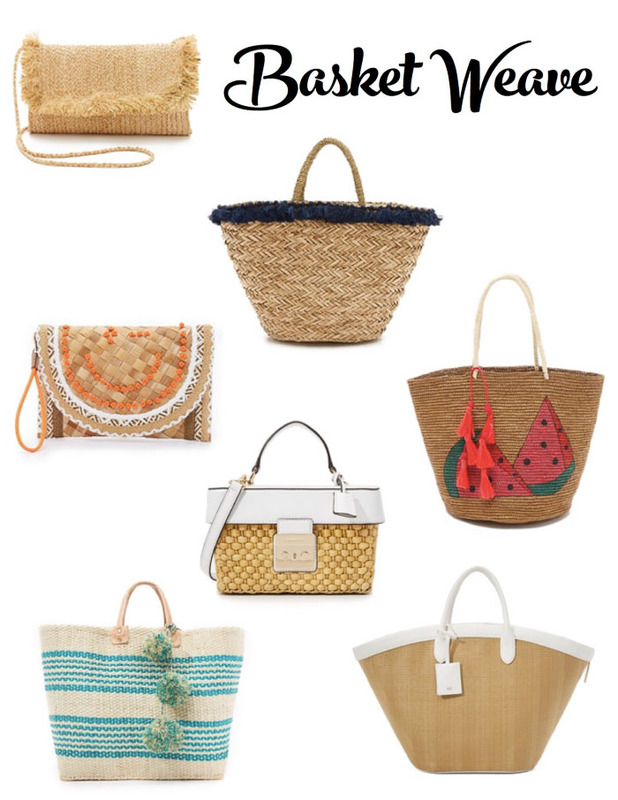 Basket Weave Bags - it's an all time favorite summer trend and I hope it never ends! I'm thisssss close to pulling the trigger on this white and brown bag -- do I need it?! 3. Pool Floats - WHAT IS NOT TO LOVE?! It was soooo hard to narrow down the choices for my trip (I went with the pineapple!) but man oh man am I glad these are a thing. It's like real life adult toys! 4. Scallop Bikinis - And last but not least... the scallop swim suits. I wish I had known these were going on sale! I just bought THIS one full price -_____- these are for sure worth the investment -- they look so cute on everyone! And of course... THE SALE you've been waiting for! Shopbop's Friends and Family sale is going on now and everything linked in this post is apart of that sale!! Yay! So shop away and start stocking up for summer. Use the code: INTHEFAM for 25% off! 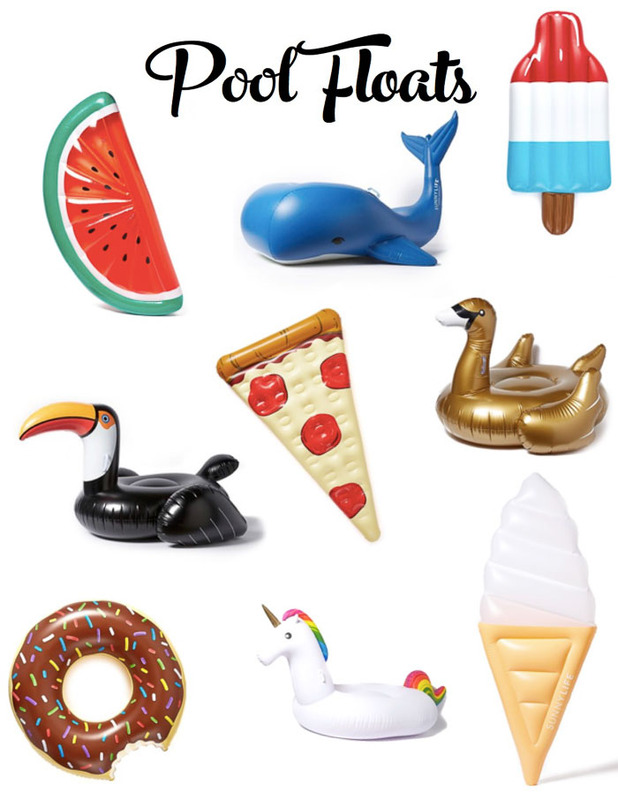 Those pool floats are seriously the cutest!! And I really want a scalloped bikini.